Adding Google Talk in Messages OS X 10.8 Mountain Lion is pathetically painful plus if two step verification is on, it will give more pain. Here is the solution. Basically there is no universal LADP Chat Server Application that is free so that we can install on our server. 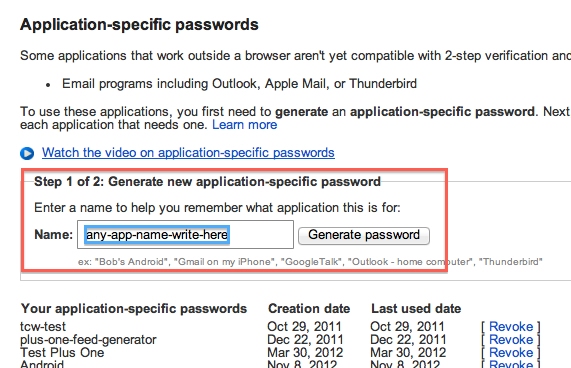 Neither Google oddly has no Official Google Talk App for Mac, although it appears all Google top personnels uses Mac. It is a kind of odd to think to use Windows Live on Mac, so the practical option are two – Google Talk and Yahoo! Yahoo! however delivers almost no pain. 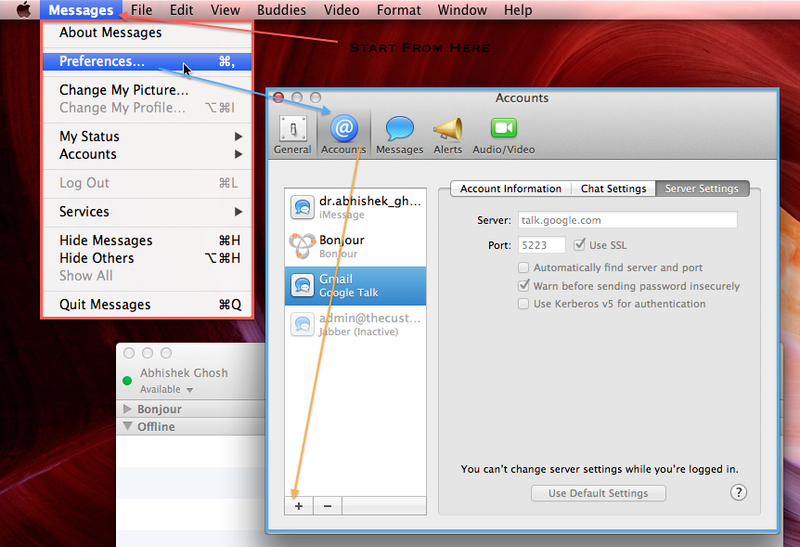 Adding Google Talk in Messages OS X 10.8 Mountain Lion is difficult, here is a full guide. Most commonly we keep everything Public for SEO reasons, all in your circle will be in your contact list / Buddy list. Plus everyone can actually disturb you, so before Adding Google Talk in Messages OS X 10.8 Mountain Lion it is important to configure them properly. That part is a tutorial itself. Technically it will not create any obstruction for Adding Google Talk in Messages OSX 10.8 Mountain Lion, so this part is ignored in this guide. These is most complicated situation by combination. 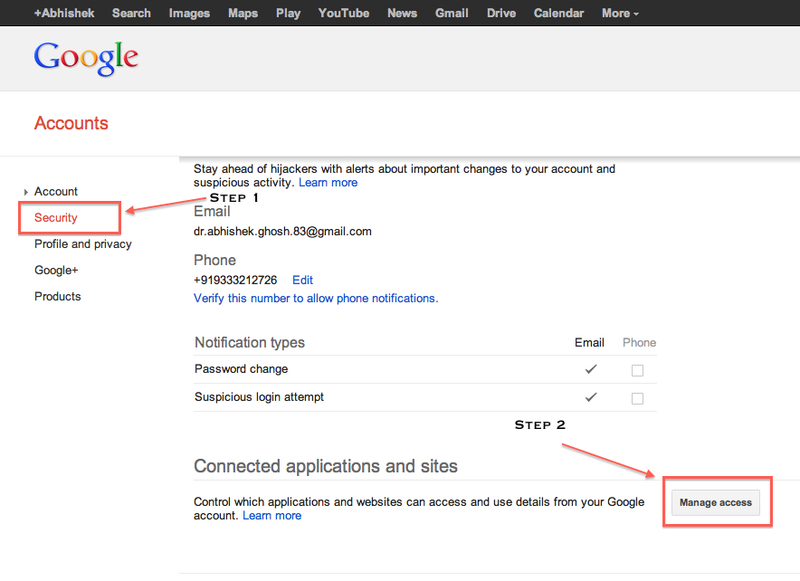 First Login with non gmail email if applicable, in Google Account and create an account with @gmail ending. This @gmail will become primary email. You can not change it. But you have to forward all the emails to the secondary (non gmail email, which is basically what you started with). Omit this step if not applicable. Pain : It can happen, you will not get the chance to set a password for the @gmail account ! In that case, reset it by using the new @gmail email and selecting I Do Not Know password radio button. This is the reason there is this option to recover password. I do not know about you, I thought it was a kind of sarcastic option ! Obviously the email will reach your old email address and you can reset it (actually you are creating the password). Big size password will show up. Keep the page opened in that way. Skip this step if you are not using Two step Verification. So just select the Google Talk option from that dropdown (AIM in screen shot). Use the username (full email with @gmail) and that password. Done. You can see my Buddy list in the background window. This Article Has Been Shared 5281 Times! IBM Cloud is possibly an example of level of failure from the point of outages. Its not only Cloud but IBM is failing company due to strategies which are wrong. 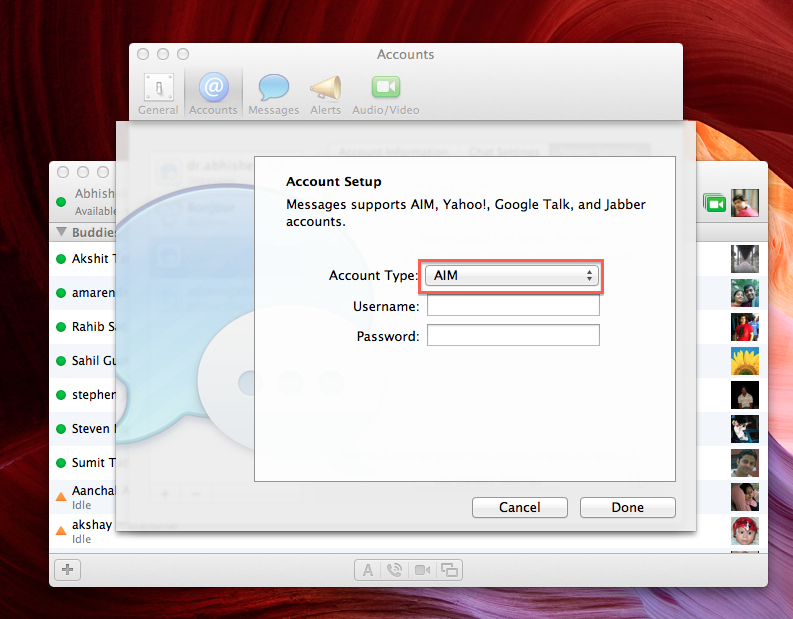 Cite this article as: Abhishek Ghosh, "Adding Google Talk in Messages OS X 10.8 Mountain Lion," in The Customize Windows, February 6, 2013, April 26, 2019, https://thecustomizewindows.com/2013/02/adding-google-talk-in-messages-os-x-10-8-mountain-lion-1/.